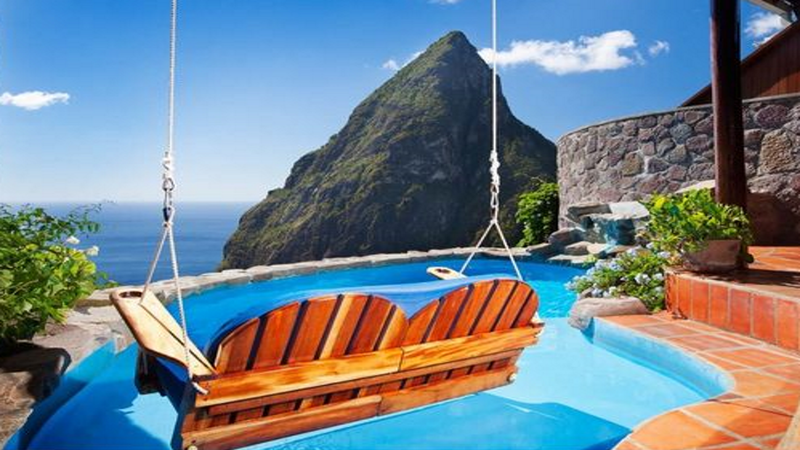 Escape to a tropical hilltop hideaway on the paradise isle of St Lucia at the charming Ladera Resort. This adults-only boutique hotel features a unique collection of romantic suites that will become your private holiday haven. Sit back on a romantic swing with bare feet splashing in the pool, while you gaze out together across the majestic mountain views. Dasheene restaurant provides another picturesque spot when you’re feeling peckish, and the wine cellar is packed with tasty picks from around the world. 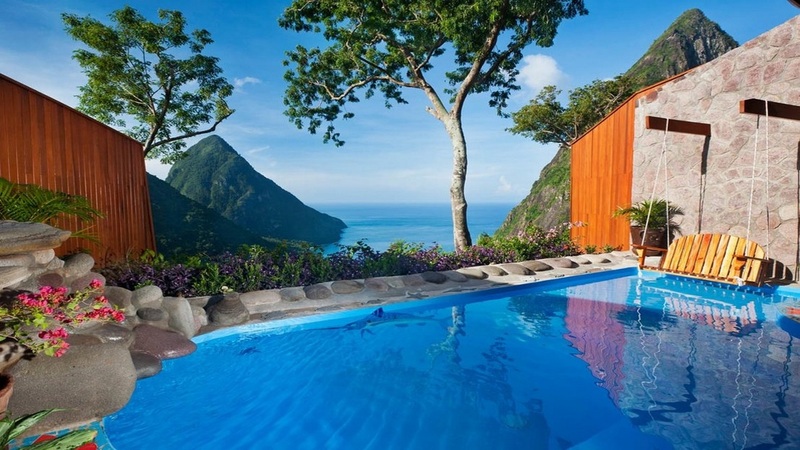 A more memorable setting for a luxury Caribbean holiday would be hard to find. The resort provides a complimentary shuttle service to Sugar Beach daily, which is a short drive away. 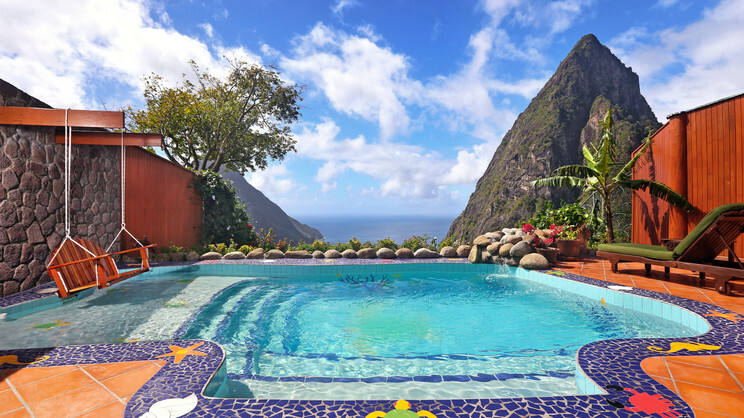 Ladera Resort is about a 10-minute drive from the town of Soufriere. The nearest restaurant is within walking distance. 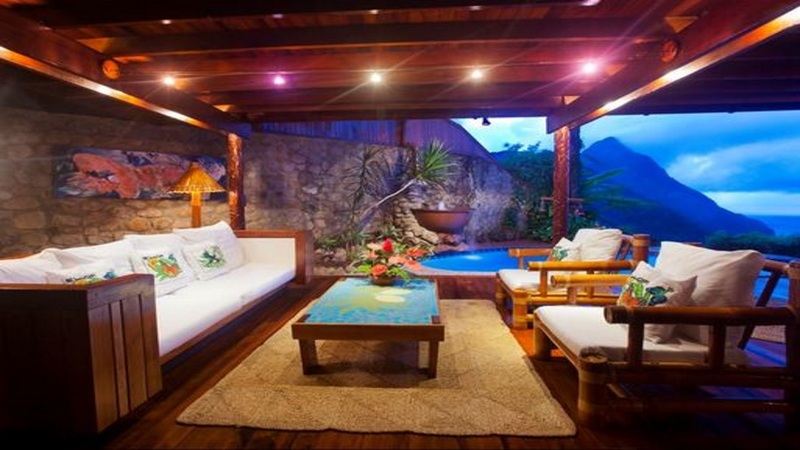 Hewanorra International Airport is approximately 27km away from Ladera Resort. If you choose to go all inclusive at Ladera Resort, the package generally consists of breakfast, lunch and dinner served at Dasheene Restaurant. Locally produced alcoholic and non-alcoholic drinks like water, wine, refreshments, soft drinks, beer, spirits, etc are served during the day.